On to episode two! Finished watching this episode before I headed to work and I'm writing this as I'm on the bus.. LOL. Anyways this was a good episode. I'm enjoying the animation and art style Production I.G is doing with Ballroom e Yousoko. It started off with Tatara attempting/ having a hard time learning some ballroom moves from the trainees at the studio that were directing him. Felt as though Tatara was not as into being a pro after watching watching him fail at getting the hang of these "basic" ballroom maneuvers. Sorry to Chihaya whom I compared Tatara too. 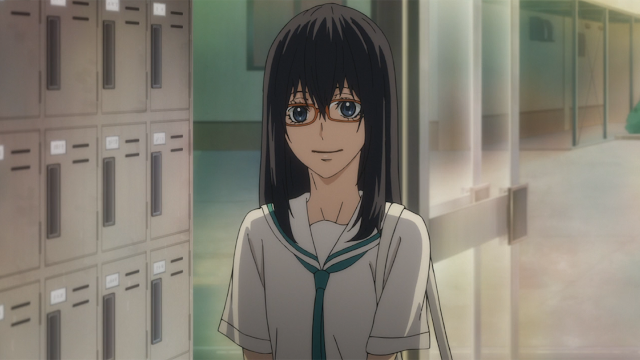 We're also introduced to Kiyoharu Hyoudou in this episode. He's obviously going to be Tatara's rival throughout the series. He's an extremely talented pro dancer who seems to have reached the level he is at right now via hard work. 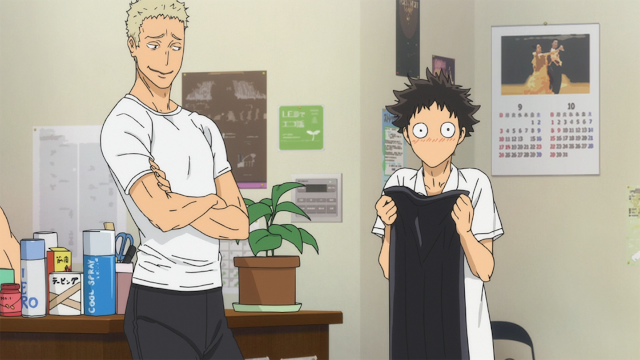 Later on in the episode he teaches Tatara some basic dance moves, which to everyone's surprise Tatara was able to mimic what Hyoudou was doing without any verbal direction. 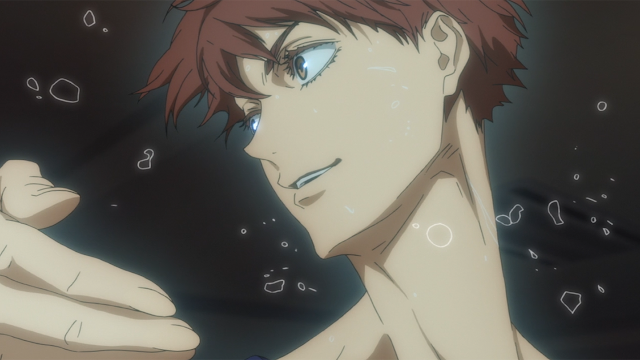 So it seems like Tatara is going to be one of those learners who learns through visuals, and doesn't need much verbal direction - a natural talent when compare to Hyoudou who appears to be ballroom pro that needs practice to maintain his level of skill. I can sort of imagine this being a source of conflict between the two later on in the anime. For those who have seen Aikatsu, Hyoudo reminds me of Mizuki a bit; both extremely hard working pros. 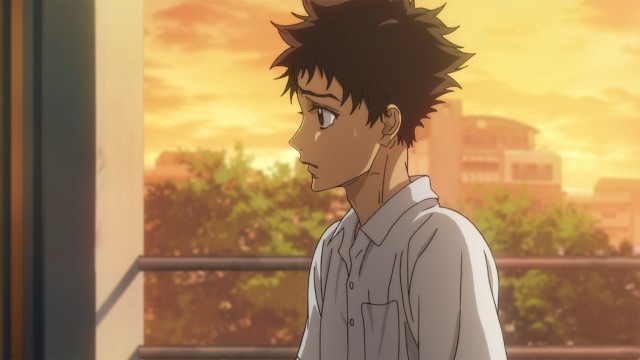 We learn that Hyoudou wants to enter some ballroom world championship at the end of this episode as Tatara questioned him on what he plans to do with his dancing career. I found it so sweet/ funny that Tatara was being such a tsundere towards Hyoudo at his studio when he said something along the lines of, "I'll be here cheering you on." Like ok Tatara as if you don't want to dethrone this man off the ballroom echelon 👀. I've also noticed the giraffe necks in this episode especially. I don't understand why the necks need to be extended to the skies but that's just me haha. It's not an issue I find with the anime, just a unique quirk. Alright, that's it for this episode! On to the next.